One day after Bridgewater founder and billionaire Ray Dalio told a Davos panel that the "one thing that scares him the most" is that during the next downturn in global growth, which will hit both markets and the economy, central banks will have virtually no ammo to spark another rebound, Dalio's top lieutenant, Greg Jensen, who is co-chief investment officer of the world's biggest hedge fund (excluding various central banks, of course) said "he sees a more negative outlook for growth than the markets and policy makers." "While people have certainly diminished their growth expectations and you’re hearing all about that at Davos, we don’t think they’ve done it enough," he told Bloomberg TV during an interview from the World Economic Forum, effectively warning that the coming drop will be worse than (virtually) everyone expects. 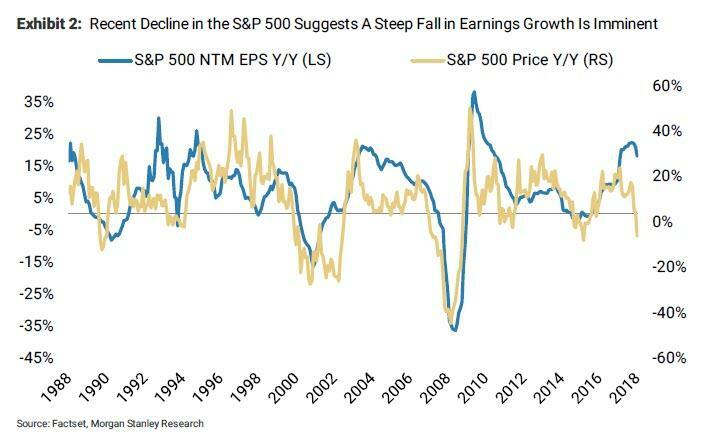 Echoing concerns first voiced by Morgan Stanley's Mike Wilson, Jensen said that "earnings expectations particularly in the U.S. are too high, and generally the Fed and other policy makers are still expecting stronger growth than we see." As a result of what may soon be an earnings recession, Jensen said that he expects to see lower interests rates, particularly on the short-end of the Treasury curve, or in other words, he expects the Fed to make monetary easing great again; he also warned that regions that have priced in high growth expectations will be hurt the most, and no region has priced in more "growth" than the US, with the decoupling between US stocks and the rest of the world now absolutely historic. And while Bridgewater is clearly bearish on developed markets such as the US, he said that some emerging markets that have already suffered from the U.S.’s tighter monetary policy will benefit as policy makers resume easing, he said. Curiously, Jensen does not believe the next market swoon will emerge from the US; instead he said "European markets will be the first test" as the region is "starting from a worse level in terms of the economy, lower inflation - close to deflation in many places - and already have negative interest rates" adding that "their movement will be kind of a leading indicator because they’re going to struggle more with easing” than the U.S. or China, which have "more tools available to them." One of the reasons why Bridgwater did so well in 2018, when its Pure Alpha fund returned 12%, is because the fund apparently turned bearish just ahead of the December swoon (and about a year after Dalio said that "If you're holding cash, you're going to feel pretty stupid"). 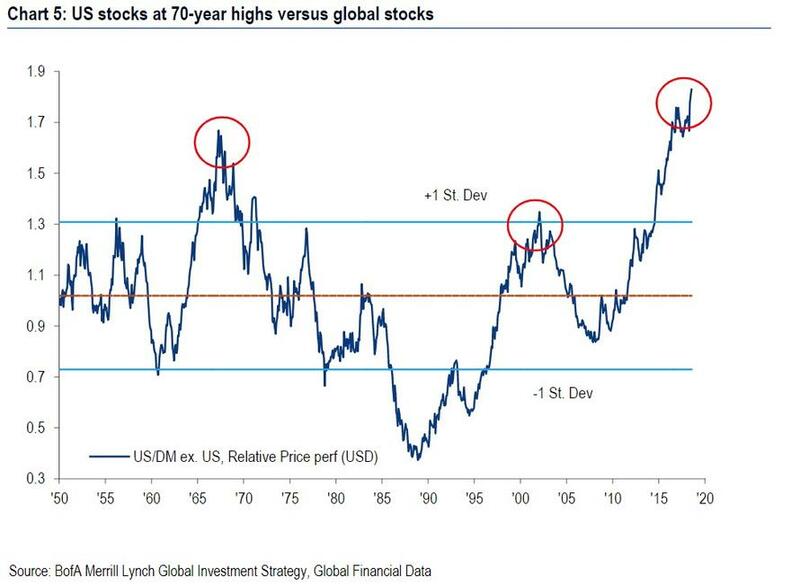 Last December, Jensen said growth in 2019 would be near recession levels at about 1 percent in the U.S., and slightly lower for the rest of the developed world; ironically, and in a stark U-turn to what Dalio said one year ago today, Jensen said "cash continues as a viable alternative to U.S. stocks and bonds." 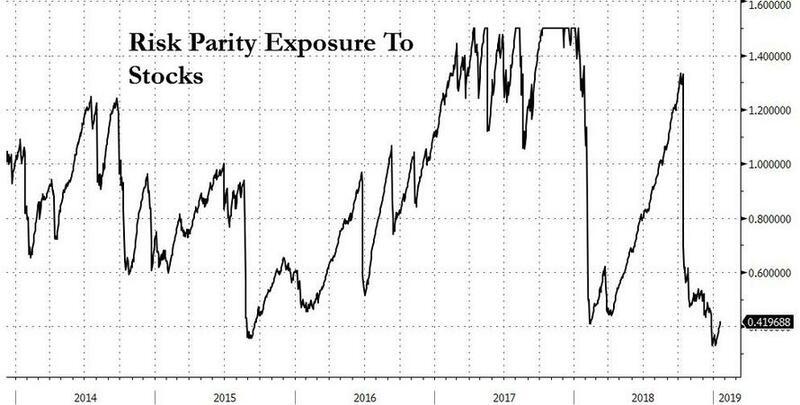 .... reveals that while CTAs, algos and short covering may have sent stocks sharply higher in the past month, the world's biggest hedge fund will have none of it. Jensen's Bloomberg TV interview is below.